Brought to you by the Grace of India and Lavendra family, we bring you a new restaurant, experience and menu inspired by WaazWaan – the legendary 36-course banquet feast embodying Kashmiri’s proud history, tradition and heritage. The WaazWaan, Lavendra & Grace of India family. Your host Inderpreet was brought up with traditional Indian food culture all his life, and has enjoyed food from all across India. Now he has dedicated himself to presenting that food culture to Sydney’s discerning diners, translating traditional ingredients and techniques into modern tastes and innovative combinations. 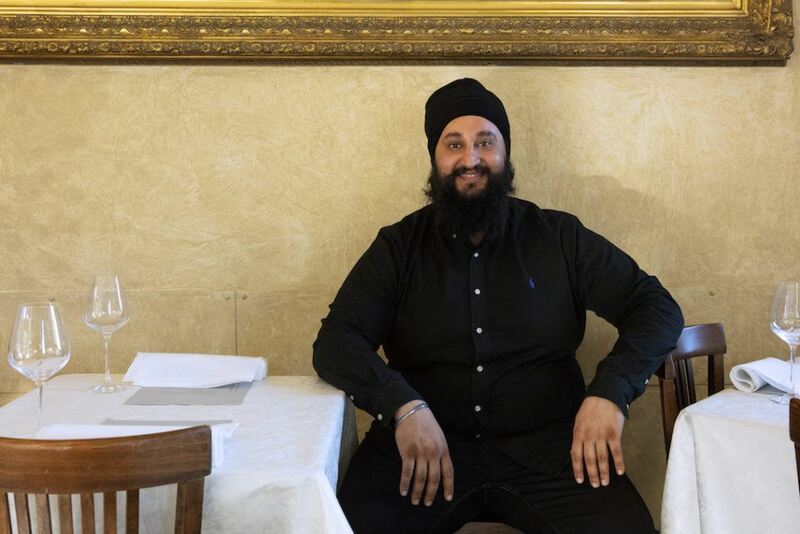 Inderpreet’s parents, Santokh and Manvinder, began running ‘Grace of India’ when he was two years old, and he has grown up in and around lovers of good Indian cuisine. This is where he learned the art of ‘traditional Indian cooking’ enriched by a passion for hospitality. Inderpreet went on to launch ‘Lavendra’, with its personally crafted seasonal menus using locally sourced fresh ingredients. His latest offering ‘WaazWaan’ is inspired by the legendary 36-course banquet feast embodying Kashmiri’s proud history, tradition and heritage.